It's a combination of the Magnetic Switch and a 5-6V regulator. It's designed for F3F and F3B model gliders. Tiny, Strong, Stable and Reliable. Super slim to fit in small fuselages. Extremely high quality! 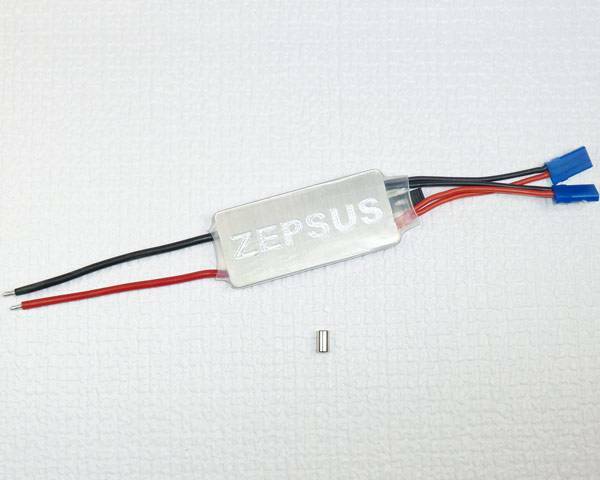 The Zepsus Magnetic BEC was designed with one thing in mind, we must not compromise on quality. With that said, the best components have been selected. No cheap solutions, this is the best of the best all the way around. With double connectors to the receiver for good distribution of load current and higher safety, it outperforms many of its competitors with massive 880µF low ESR stabilization capacitors. Designed with super bright LED for on-off power indication. A clean and easy way to turn on your model, just slide the magnet across the BEC. Mounted inside of the fuselage, out of the air stream, and the magnet will easily activate the BEC from outside. No more fumbling for little switches, or plugging in connectors. The Magnetic BEC has the same well-known and well-tested magnetic technology as the Zepsus Magnetic Switches. If a servo burns out in flight, the extreme high peak current will help the Magnetic BEC provide power to continue the flight and burn the servo electronics. Other BEC's will give up, resulting in a crashed plane. No buck or boost converter. No charge pump. No switching noise. 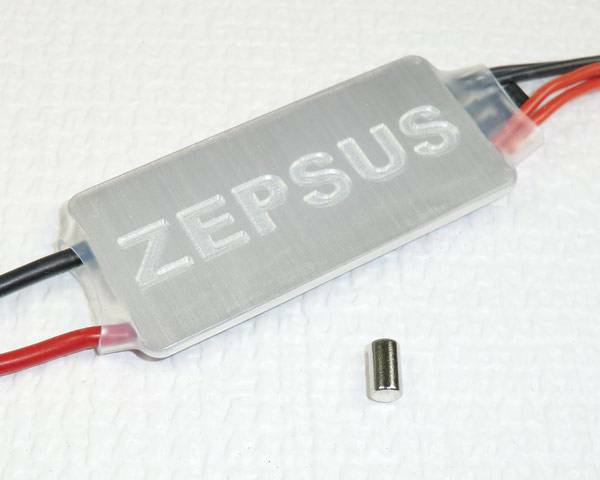 This makes the Zepsus Magnetic BEC a ultra low noise product suitable for radio controlled gliders where long range is very important. Ultra low dropout voltage provides security if a battery cell collapses and input voltage suddenly drops below the selected output voltage. 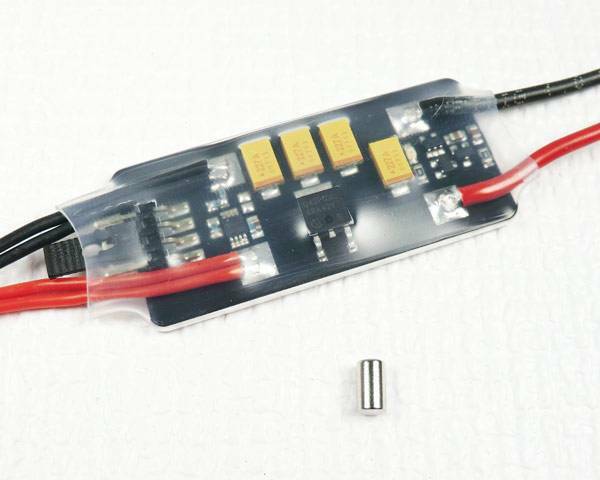 2S Lipo nominal voltage 7.4V and output voltage choice is 5,5V. 2S LiFePo4 nominal voltage 6.6V and output voltage choice is 5,5V.